It’s been a long wait, but has President Obama chosen the next NASA Administrator? According to several news sources, it would appear a former astronaut may be taking the most senior NASA position. Retired Marine Major General Charles F. Bolden will travel to the White House on Monday to meet with the President and discuss the appointment. Bolden is an experienced astronaut, having served on four Shuttle missions from 1986 to 1994, clocking up a total of 680 hours in Earth orbit. Earlier this year there was some speculation that Charles F. Bolden Jr.’s name was being mentioned more often than the other contenders in the race replace ex-Administrator Michael Griffin. Judging by today’s press coverage, it appears the speculation was accurate and President Obama has decided on Griffin’s successor. 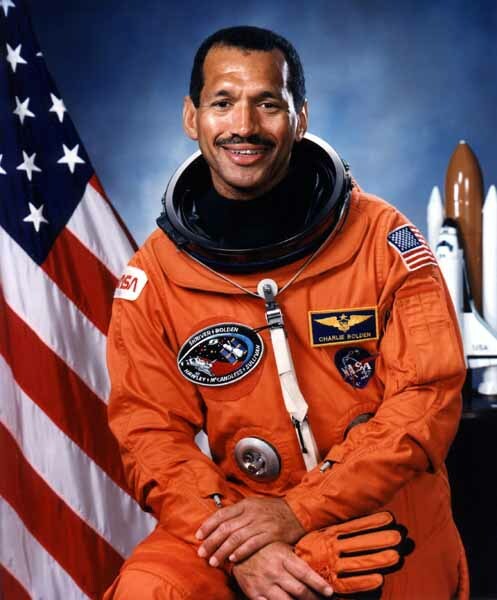 Bolden joined the space agency in 1981 and served on four Space Shuttle missions, including STS-61C (Columbia, 1986), STS-31 (Discovery, 1990), STS-45 (Atlantis, 1992) and STS-60 (Discovery, 1994). Interestingly, Bolden was the pilot of Discovery when it delivered the Hubble Space Telescope in April 1990; nearly two decades later, the observatory is still going strong. Today, the STS-125 Atlantis mission carried out the first spacewalk of the final Hubble servicing flight. In 1994, Bolden left NASA and became Deputy Commandant of Midshipmen at the US Naval Academy. In 2003, he left the Marine Corps as a Major General. If this decision becomes official on Monday, Bolden will be faced with the toughest challenge he has ever had to confront. The political and financial challenges he will have to overcome as leader of the US space agency will be incredible. We face uncertain times, especially with the retirement of the Shuttle looming and the continuing flack the Constellation Program is receiving. In many ways Charlie, I don’t envy you. But in others, how cool would it be to be in command of a space agency?! Special thanks to @SpaceCrazed for the tip!